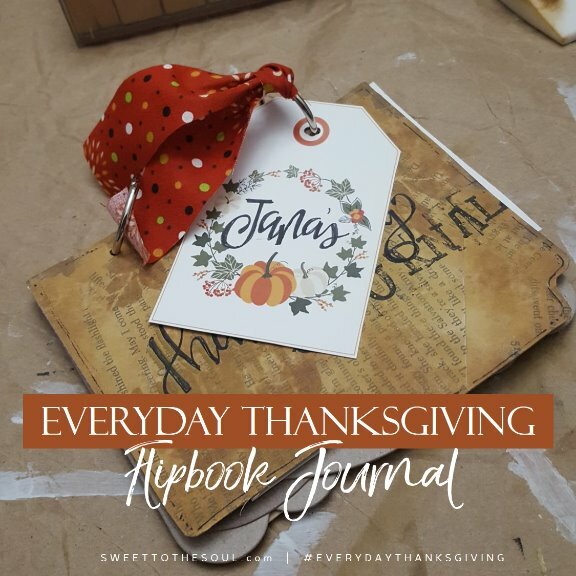 This month in our Soul Inspired "Everyday Thanksgiving" Journaling Kits, I included a fun chipboard flip book. ​I've had so much fun already adding some of the journaling cards, etc from the kit to fill up my flipbook. And throughout the month I'll be sharing pics and processes with yall. ​But first, I wanted to show you how I decorated my cover page. ​In addition to the chipboard flipbook pages, you will also find a few old book pages in your Journaling Kit. These are what I used to decorate my cover. ​Select the chipboard page you want to serve as your cover. ​Using a sponge applicator or sponge brush, "paint" a portion of the chipboard with gesso. Select a piece of the torn book page and "paint" one side with the gesso. ​Adhere the book page to the chipboard, gesso side down. Pressing to make sure it adheres well and there are no are bubbles. Don't worry that the page pieces overlap or extend off of the chipboard. Repeat process with each piece of torn book paper. 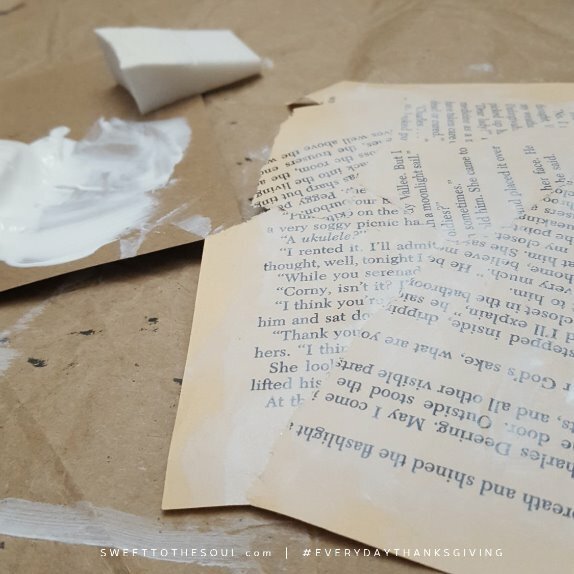 ​When all pieces of the book page are adhered, "paint" the entire cover with a thin coat of gesso. Supplies: old book pages, chipboard page form, white or clear gesso, sponge applicator. 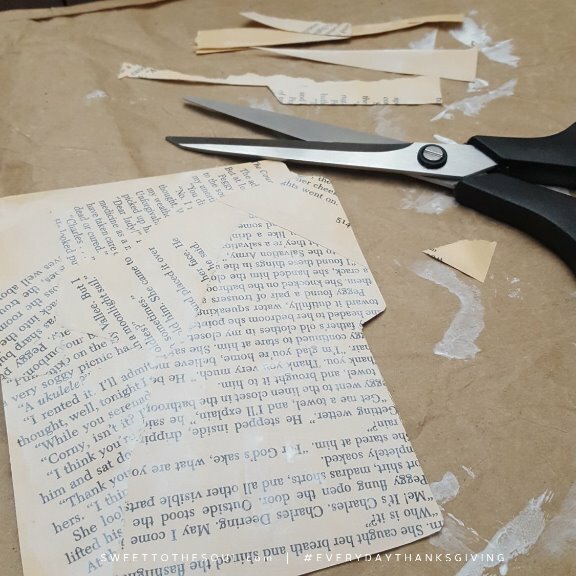 ​Using a heat tool or hair dryer on low, make sure the book pages and gesso are day. If there are any pieces lifting up from the chipboard, add more gesso to adhere the pieces. ​Trim the book pages to the exact size/ shape of the chipboard piece. We are going to "antique" the book pages. 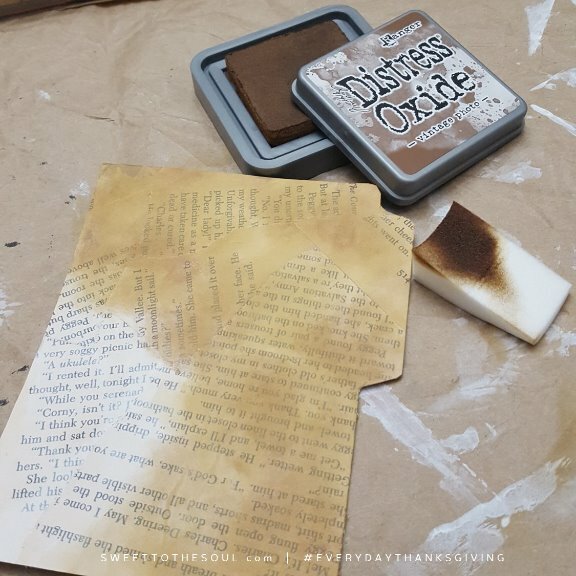 ​I used the "Vintage Photo" color in Tim Holtz's new Distress Oxide ink pads. Feel free to use other colors of your choice. Using a sponge applicator, I daubed the applicator on the ink pad, then daubed it on the book pages, using varying amount of pressure to create a mottled look and leaving some of the text on the pages showing through. ​If you apply too much pigment, use a wipie to remove some of the ink. Wipies also work well to achieve a more blended look. ​I worked in small sections until I covered the whole cover. Dry thoroughly with a heat tool or hair dryer on low. Supplies: Tim Holtx Distress Oxide ink pad in Vintage Photo, sponge applicator, baby wipe. ​To add a little depth and accent design, I selected a stencil of leaves. ​Place the leaf stencil in random directions and locations on cover. ​Using a sponge applicator, daub it on the ink pad, then daub it on the stencil on the cover. ​I used more ink in these areas so the leaf pattern would be visible. ​If you add too much ink or the leaf is too dark, use a wipie to remove some of the ink. Repeat until you have added the number of leaves you desire. ​Dry with a heat tool or hair dryer on low. 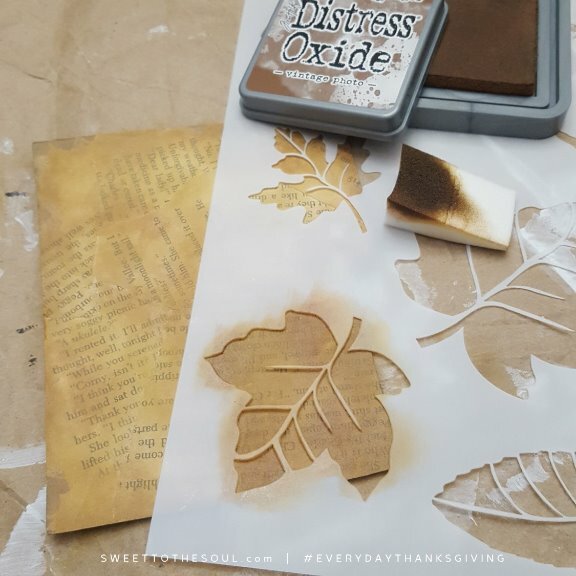 Supplies: Tim Holtx Distress Oxide ink pad in Vintage Photo, sponge applicator, leaf stencil, baby wipe. Personalize the cover to really make it yours. ​On mine, I hand lettered the word "Thanksgiving" with my PrismaColor .05 marker. ​Decorate your cover and make it your own! ​To finish up the flipbook cover. using the backside of the chipboard cover as a guide, punch the two holes through the book pages. ​Insert the binder rings from the kit, adding the other chipboard pieces and any other pieces, tags, etc to the inside. The rings can easily be opened and removed then added back as you add pieces to the inside of your flipbook. I hand lettered my name on one of the journaling kit tags and added the fabric from the kit to the binder ring as an accent. ​I'll be sharing more pictures and info about what I add to my Thanksgiving Journal throughout the month, so be sure and follow Sweet To The Soul Shoppe on Facebook and Instagram so you don't miss a post! ​I would love to see what you do with your flipbook! 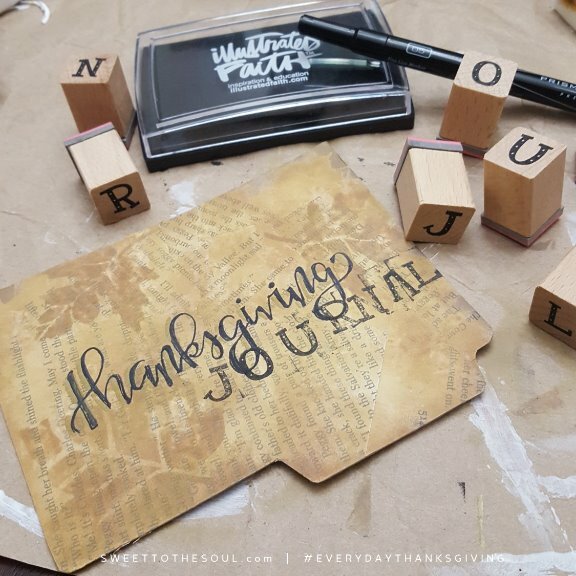 Share your pics on social media and tag Sweet To The Soul and use the hashtag #EverydayThanksgiving. And I'd love for you to join me in our Soul Friends Bible Journaling Group on facebook as well. I hope you enjoyed this project process!